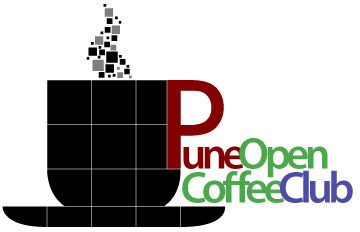 View more presentations from Pune Open Coffee Club. Where: Symbiosis Institute of Computer Studies and Research, Room #407, 4th follor, Atur Centre, Model Colony. Map. As tech startups will identify, the initial stages require only a handful of core team-members (3 to 5). These few are crucial to the success of the startup product or service. This idea extends to startups in other domains as well. Chetana Mehta, ex-VP HR at GS Lab helped grow Persistent Systems, GS Lab when they were at a similar stage has offered to cover some aspects of nurturing and training teams. From my own experience, startup hires are only getting younger (freshers, 1 to 2 yrs of experience). These candidates don’t have the big-company mindset and are willing to take on a no-name startup. How do you nurture these few to take on ownership of diverse areas and cope with the uncertainties of a startup? How do you set them on a path where they can take charge of their own effectiveness and learning? How do you encourage teamwork and confidence in team members in the capabilities of others? Another key challenge is how do you convince this core team to work for you for not just the money, but above all for a common vision or goal and the fulfillment of kick-starting a profitable venture. Does equity even work here or is it misplaced? With students, they expect immediate returns rather than wait 8+ years for an IPO. How does a startup scale up hiring and training high-quality personnel? How do you scale the corporate and / or engineering culture you have so carefully built? Look forward to hearing about how you build teams and the challenges you are facing. The Druva Story – III at Venture Woods. The Druva Story – II at Venture Woods. What is their (Druva’s) primary challenge currently? Jaspreet says that they want to build a high-quality, world-class product, and for that he needs lots of high-quality, world-class people. While theyâve obviously managed to build a team like that which got them so far, they need many more such people in the coming days, and thatâs a significant challenge. He says that it is difficult, if not impossible to find âreadymadeâ world-class talent here (even when âworld-classâ salary and/or equity is offered!). Instead, he feels that the only approach that works is to find individuals (whether freshers or industry veterans) who have the right attitude and potential and then nurture them into the required shape. Meet with other entrepreneurs, investors, startups, advisors, (and anyone else) from Pune, India in an informal setting. team building for a startup is quite crucial for it to grow and scale up. Should an interesting workshop!